Self-directed IRA’s are like dynamite – very powerful, for sure... but also very dangerous. So too, Self-Directed IRA’s… powerful, dangerous, artistic, creative. …But now, there are several SDIRA custodians who are well over the $10 Billion level. And it’s easy to see why. The core benefit of self-directed IRA’s is FLEXIBILITY! …And trust me… however much potential you’ve dreamed up for using a self-directed IRA, there’s far more ninja-level strategy you’ve never heard of that will blow your mind. Otherwise, you should just stay away from them entirely. It’s so bad that even the U.S. Federal Government released a report in early 2017 that called out the IRS and the entire industry for not providing enough guidance on self-directed IRA’s. …It’s just that none of it has been particularly effective at helping you get the benefits of self-directed IRA’s while avoiding the devastating risks… at the same time. There’s even a small handful of attorneys who, while having great technical skill, simply don’t have the ability to make this complex topic understandable. This is where I raise my hand to help. I’m not a conventional financial advisor, so I’m not biased in favor of Wall Street assets. And I’m not a lawyer, but I do teach a law class about the topic of self-directed IRA designed for California lawyers. So what do I bring to the table for you? What I bring is a ton of experience… a creative mind… and the ability to explain these concepts to you clearly. I say this not to brag, but to communicate a simple point. I’m going to tell you the truth about this stuff. There’s zero conflict of interest. …And the truth is different from popular assumptions. Self-Directed IRA’s are underused. I think more people can and should take advantage of them. Self-Directed IRA’s can be extremely valuable for the right type of investor. If that’s you, you stand to win big. And that’s what Self-Directed IRA’s: The 360° Guide is all about. what can you buy in a self-directed ira? A self-directed IRA is a type of retirement savings account that allows you to invest in nearly any type of asset you want. In a truly self-directed IRA, practically any type of investment is “on the table”… real estate, precious metals, private companies… you name it. …You know, the type that limits you to stocks, mutual funds, etc. If you use a captive IRA company, your IRA can only buy what your custodian is selling. But if you use a truly self-directed IRA company, your IRA can buy almost anything you can imagine. You may notice my focus on the word “truly” to describe self directed I.R.A.’s. That’s because a whole lot of IRA companies use the term “self-directed”… but it’s not true. I used to have an account at Schwab, and they did a great job helping me to trade conventional assets. I’ll bet that the others are really good, too. …and that’s where the Self-Directed IRA comes into play. Would you believe that, under the law, there’s no such thing as either a self-directed IRA or a captive IRA? That’s because the law that created the IRA (26 U.S. Code § 408) only established the “IRA” – the Individual Retirement Account. The adjectives “self-directed” and “captive” and “conventional” aren’t found in the law at all. An IRA is an IRA is an IRA. They’re all the same. The rules that apply to a captive (aka “conventional”) IRA also apply to a self-directed IRA and vice versa. The asset protection (protection from lawsuits) is the same for self-directed and for captive IRA’s. From the point of view of the law, one IRA is the same as the next. There are not different rules for captive IRA’s versus self-directed IRA’s. Yes, I know I just said self-directed IRA’s and captive IRA’s are absolutely identical under the law. They are. I’m not telling you something different now. But one of the things the law allows is for IRA companies (usually called “custodians”) to select which types of assets that they will and will not service for their clients. A self-directed IRA is an IRA opened at a self-directed IRA custodian. A captive IRA is an IRA opened at any other IRA custodian. How do you know which you have? …if the answer is “yes” then you have a self-directed IRA! …because if you plan to use the amazing flexibility that the self-directed IRA offers, you’ve got to be sure that you “stay in your lane” and always respect the rules. First, let’s reiterate the terminology we’ll use from now on. A “self-directed IRA” is an IRA that allows you to buy nearly anything you want. A “captive” IRA is all of the other IRA’s… the ones that force the IRA owner to buy assets from the IRA company. So every IRA is either “self-directed” or “captive”, ok? Now before we move forward into the really good stuff, I want to make sure you understand fundamentally what an IRA is. But rather than fill your screen with all of that reference material, I’ve placed it all in this handy-dandy drop-down box. If you want to learn the basics of IRA’s – whether self-directed or captive – then just click the “+” icon on this box, and everything you need is right there. We’re all on the same page about what is an IRA. What, exactly, can you do with a self-directed IRA? Nearly anything you can imagine. If you’re using a captive IRA, you could, for example, buy stock in a company in the oil business. Obviously, you’re not restricted to activity in the oil business. That’s just one example. If it's an investment asset, chances are very high it will work with a self-directed IRA. But it’s not just the ability to invest in alternative assets that’s so appealing. Would you like to be able to buy assets in your Traditional IRA – and get a tax deduction for that money, of course – but somehow magically have that money end up in your Roth IRA, where you can withdraw it totally tax-free? Well… that’s possible. It’s not a simple matter, and there are rules that have to be followed. But the point is: It’s possible… and it’s only possible with a self-directed IRA. Captive IRA’s are superior to Self-Directed IRA’s in one and only one way: Simplicity. …They know how to acquire the assets on your IRA’s behalf. …They know how to sell the assets on your IRA’s behalf. …They know how to acquire valuations for your IRA’s assets. They do all of these things a gazillion times each year. None of it’s new to them. Take an IRA at a stock brokerage, for example. You don’t have to explain to them how to buy a stock. That’s their expertise. But things are different with self-directed IRA’s. Consider the purchase of a piece of real estate. If you call up your IRA company and instruct them to have your IRA buy a particular piece of real estate, what are they going to do? That stuff isn’t the job of your self-directed IRA custodian. Not only won’t they do it, but it’s actually legally perilous for them to get anywhere near that stuff, so don’t expect them to do so. The primary job of your custodian is to execute transactions that affect the assets or obligations of your IRA. It is not their role to find and vet investments. Whose job is all of that? …And that’s both inconvenient and wildly exhilarating, because it’s specifically that responsibility – the responsibility of finding your own investments – that gives you the ability to do so many amazing things in your self-directed IRA. I don’t want to give you the impression that your custodian has nothing to do with this. They certainly do. But we’ll get into that more a bit later. Doesn’t all of the added responsibility of owning and operating a self-directed IRA increase your risk? Well, yes it does… maybe. But the hubbub you may have heard about the risk of self-directed IRA’s is sometimes overstated and nearly always misstated. If you feel that self-directed IRA’s are risky, you shouldn’t use them. If you do use a self-directed IRA, don’t underestimate the harsh ramifications of screwing up. You can avoid screwing up by getting good professional advice. Ok, now that the general advice on risk is done, let’s look at this from a different point of view, shall we? If you’re a master real estate investor, but you know little about the stock market, which is a safer investment for you? Clearly, real estate would be safer. And for that, the right tool for the job is a self-directed IRA. In that case, a self-directed IRA is the only way to invest in the asset class that’s actually safest and most likely to be profitable for you. To avoid using a self-directed IRA just because the conventional financial world prefers conventional IRAs is nothing short of asinine. Don’t use a self-directed IRA unless you have a clear idea of what you’ll do with it. And if you do use a self-directed IRA, you should be prepared for the fact that it will require more accounting and legal advice than you’d need if you were buying mutual funds. A self-directed IRA is almost like your own private hedge fund. You’ve got to keep records for things like taxes and audits. …And since you don’t know those rules, you need to get help from somebody who does. But that’s not a big burden. You’re going to have a strong working knowledge of those rules just by reading this guide. But more fundamentally, here’s some incredibly simple advice that can nearly eliminate the risk of breaking the rules. Is any part of this transaction prohibited or taxable? Are there any danger zones that would take my IRA out of compliance? At what milestones should I have you review the transaction again? That’s it. Ask those three questions to a good IRA attorney before every transaction, follow their advice, and you’ll be solid. I wouldn't hesitate to rely on the advice of any of those guys... click their photos to get their contact information. ...But the best of them all, in my humble (but 100% accurate) opinion, is Tim Berry. 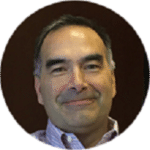 He’s everything you want in a self-directed IRA attorney: An absolute expert, vastly experienced, incredibly creative… and he speaks like a human, not a lawyer-android hybrid. Tim will also tell you if he doesn’t know something. That’s rare among attorneys. My recommendation: Use Tim as your "general counsel" for all things related to self-directed IRA, and if you need additional expertise, Tim will refer you as appropriate. Ok, that's enough about attorneys for now. Let's return briefly to the topic of "risk" associated with self-directed IRA's. Didn’t the Securities and Exchange Commission Warn Against Using Self-Directed IRA’s? Back in 2011, the SEC did issue a warning about fraud happening in Self-Directed IRA’s. You can see that report here. This report was published because a few cases of fraud had been perpetrated by hucksters who convinced unsophisticated people to open self-directed IRA’s and invest in their wild schemes. Those people lost money, and that’s a terrible thing. I hate to hear about anyone being victimized. I do not minimize the significance of the loss to those people in any way. Yet still… all you hear from conventional financial “experts” is how “risky” self-directed IRA’s are. The thing is… they’re misleading you. Clark Howard is a very well known “consumer advocate” on radio, TV and the internet who usually gives pretty good advice. But he absolutely made a fool of himself in his response to that report. He published a video that completely ignored what the report actually said, which you saw above. I just looked, and the video on Clark's website with the misleading content has been taken down, probably in response to this article I wrote for Forbes. Kudos, Clark! If you'd like to see the original video published on another site, check this out. I'm hoping that the removal of the video means he's changed his position. Reach out and let us know, Clark! If what you’re looking for is the simplest solution in the world, don’t use a self-directed IRA. But if that’s the way you think, then… only use the 1040EZ to file your taxes, because using the full 1040 form is too risky because it’s complex (even though you could save a LOT of money). And never drive – or ride in – a car. Walking is far less complex, and much safer. And if you feel chest pain, take an aspirin, but don’t see a cardiologist. Because all of those medical procedures are so complex… just too risky. Yes… All of that is a bit tongue-in-cheek. But still. If “complexity” is something that scares you, self-directed IRA’s aren’t for you. You shouldn’t be handling the parts of this that are complex. That’s what expert lawyers and CPA’s are for. Besides, the complexity is a blessing. 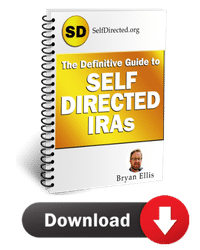 If you’re the type of person who responds to knee-jerk characterizations like “self-directed IRA’s are risky” or “self-directed IRA’s are too complex,” then, you shouldn’t use a self-directed IRA. Let’s begin to learn some of those rules so we can profitably exploit them for our own benefit! Your self-directed IRA can buy very nearly anything you want from very nearly anyone you want. The operative words here are very nearly. So what does “very nearly” mean? It means that there are almost no limits at all on what your IRA can own. It’s almost accurate to say “the sky is the limit” in your freedom to select assets for your IRA. So, if you were hoping to build a retirement fortune by collecting cases of Budweiser or Jim Beam, you’re out of luck. There’s a bit of a curveball in that list… did you catch it? Here’s what that means in plain English: The IRS could add to that list at any time, without warning. …because if you buy assets you shouldn’t, and the IRS catches you, it’s going to hurt. How badly will it hurt? Well, the IRS will treat your purchase of prohibited assets as a “distribution”. Artwork is a collectible, and clearly on the “no-no” list. But you probably didn’t understand that when you bought it, so you were expecting to let the art appreciate in value and then to sell it for a profit in the future… and to pay no taxes in the mean time. After all, that’s the wonderful promise of an IRA! That’s not what will actually happen. Instead, the IRS will categorize the $50,000 you used to purchase the artwork as a “distribution”. You might call it a “withdrawal”. What does that mean? Lots of taxes, penalties and interest. It’s entirely plausible that, depending on the amount of interest accrued, and whether the IRS hits you with all of the possible penalties, that you could end up paying somewhere between ½ and 100% of the $50,000 distribution to the IRS. …that means you’ll have to come up with the payment to the IRS of between $25,000 and $50,000 out of your own pocket. Here’s the bottom line: Don’t buy prohibited assets. When the IRS catches up to you – and they eventually will – you’ll pay dearly. Far and away, the most common type of asset purchased in IRA’s of all types is the Corporation. When you buy publicly traded stock, that’s what you’re buying: shares of a corporation (a business). But all of the corporations you can buy on the stock market have one thing in common: They’re taxed as what’s called a “C” Corporation. It’s totally kosher for your IRA to own that type of corporation. But there’s another type of corporation called an “S” corporation. …And if a corporation has the “S” classification, then it’s entitled to some pretty major tax benefits. The law that created the “S” corporation status put some pretty strict limits on who can own shares in that type of corporation. Unfortunately, IRA’s aren’t among the fortunate few. So what happens if an IRA – or any unauthorized entity – becomes owner of shares of an S-Corporation? In that case, the S-Corporation loses its “S” status… and all of the major tax benefits that go along with that. In other words, it harms the corporation substantially… and by extension, it harms you as an owner of the corporation, and it harms the other shareholders as well. Basically, you’re screwing everybody who is an investor in that corporation. So, yes, there are definite negative ramifications for owning shares of an S-corporation in your self directed I.R.A. 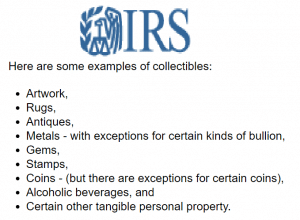 If you purchase a prohibited asset – life insurance or collectibles – in your IRA, the IRS will reclassify that transaction as a distribution, and you’ll be hit with nasty taxes, penalties and interest. …But the corporation itself will suffer, as ownership of shares in an S-corporation by any unauthorized entity (including your self directed IRA) will cost the corporation all of the substantial tax benefits of being an S-corporation. Will the purchase of S-Corporation shares in your SDIRA constitute reclassification as a “distribution” in your IRA? No. Will the Corporation purchased in your SDIRA (and all of your fellow owners of the corporation) suffer financially because of the loss of its “S” status? Yes. Do yourself a favor and stay away from S-corporations in your self-directed individual retirement account. In recent years, I’ve seen a lot of marketing for something called a “gold IRA”. There’s actually no such thing as a “gold IRA” or a “precious metals IRA”. Companies who advertise these accounts are actually just Captive IRA custodians who limit their clients to ownership of precious metals, much like other captive IRA companies limit their clients to stocks or mutual funds. …so how can it be that so many companies are advertising the ability to own gold, silver or platinum in your IRA? It’s because even though metals and coins are prohibited assets for your self-directed I.R.A., there are some exceptions stipulated under the law that allow your IRA to own precious metals and certain coins. In essence, your IRA is allowed to own bullion and coins made of gold, silver, platinum or palladium as long as the purity reaches a particular standard. I’ll tell you more about using your self-directed IRA to invest in precious metals in a moment, because there are some other rules unique to this asset class you need to understand, so stick with me. By now, you know that you are allowed to buy nearly anything – other than life insurance and collectibles – in your self-directed IRA. That’s good. Flexibility is good. …one rule that renders all other considerations moot. Your IRA’s assets must never, ever be used to benefit a “disqualified person”. If your IRA transacts business with, or indirectly brings benefit to a disqualified person, then your IRA is guilty of something called a “prohibited transaction”. Prohibited Transactions can be, and usually are, cataclysmic for an IRA. The penalties for prohibited transactions are even worse – far worse – than the penalties for investing in prohibited assets. Committing a prohibited transaction – even if only by accident – can eliminate your IRA entirely in the blink of an eye. That means it’s critical that you identify these dangerous scallywags known as “disqualified persons”. The IRS gives us a jumbled mess of a definition of “disqualified persons” here. I will, of course, explain this in a manner that actually makes sense to you. You must never, ever use your self-directed I.R.A in a way that brings you personal benefit. This may be confusing for you. After all, doesn’t your IRA exist solely for your benefit, so you can have money to pay for your retirement? Yes, it does… but only for the purpose of benefiting your retirement. This is important: In the eyes of the law, you and your IRA are entirely separate entities. If you use your IRA to benefit yourself in the here-and-now – or at any time prior to making proper withdrawals – you’ll be in a whole lot of trouble when the IRS catches up with you. What are some things you might do to benefit yourself using your IRA’s assets? Those types of interactions with your self-directed IRA are pretty obvious and straight-forward. It really should be pretty easy for you to avoid those things. Your self-directed IRA has invested in beach-front property. You plan to live in that property after you retire, but for now, you’re just renting it out through a property manager who handles vacation rentals. One weekend, there’s nobody scheduled to rent your property, so you allow your boss to use it for the weekend. Your boss has a great time, and all is well. A few months later, you get the promotion that everybody in your department has been gunning for. Forget about whether you deserve the promotion. That’s not the issue. The issue is this: Can the IRS reasonably claim that your gifting of the use of your IRA’s property to your boss helped to get you the benefit of a promotion at your job? …Even though it’s subtle, indirect and completely accidental. John Doe owns a home where he and his family live. It’s a growing area with rapidly growing real estate prices. The opportunity arises for John to buy the run-down home that’s directly adjacent to his home. The price is right, and he’ll win big with an appreciating real estate market and a little bit of fix-up. So John buys that home in his self-directed IRA. When he bought the property, he used IRA money, and the property was titled in the name of the IRA. All good so far. When he needed to repair the property, he called third-party professionals and paid them with IRA funds. All good so far. When he had to pay his property tax and hazard insurance bills, they were paid directly from the IRA… exactly as they should be. A year later, John sells that house, and his self-directed IRA enjoys a nice profit. …and they declare him guilty of a Prohibited Transaction! Real estate values are based on the values of similar properties in the area. When a property’s value rises, it raises the value of the properties around it. John knew, according to IRS reasoning, that by purchasing and renovating the property next to his own, then John’s personal residence would also increase in value. To the IRS, this was a clear prohibited transaction. It is a classic, though subtle, case of the assets of an IRA benefiting the owner of the IRA personally… even though that was never the intention. To the IRS, using your IRA to benefit your family members is the same as using your IRA to benefit yourself… it’s prohibited. If it’s a prohibited transaction for you, it’s a prohibited transaction for your family, too. The spouses of your children, grandchildren, etc. What’s curious is who is not on that list. …but sell the same asset to your brother or step-mother or uncle, and you’re in the clear. …and this list of family members who are not included in the IRS’ list of disqualified persons is frequently a great place to start to find such a trusted third party. If you own any businesses, those business are (usually) considered to be a totally separate person from you in the eyes of the law. …and from the IRS’ point of view, it’s probably you pulling the strings of any business you own… totally for your own benefit. It’s for that reason that any businesses you own are also considered a “disqualified person”. The IRS will see the activity of your businesses as, essentially, an alternate version of you. And since you are disqualified person, so are any businesses you own. This means you can’t pull any shenanigans by trying to use your business as a counter-party in an IRA transaction, or in any other manner. So don’t even think about trying it. What About Businesses That You Don’t Own Entirely? This is a real trouble spot. This seems pretty clear. If you own or control 50% or more of a business, then from the IRS’ point of view, it’s a disqualified person. That seems fair. If an entity could be controlled by you and serve as your alter ego, then being a disqualified person for your self-directed IRA makes sense. This does not mean that an entity in which you own less than 50% is inherently “safe” for your self-directed IRA. On the contrary, all it means is that if you own 50% or more of a company, then it’s definitely a prohibited transaction for your self-directed IRA to engage with it. My proof for that is an unfortunate fellow named Joseph Rollins, who squared off with the IRS in tax court over some activity involving entities in which he owned only 13%. The U.S. Tax Court decided that, despite Rollins’ small percentage of ownership, that his influence was sufficient to merit the designation of “disqualified person” for that entity. Rollins represented himself in court, and maybe it would have turned out differently if he’d had an experienced tax litigator on his side. Furthermore, this case deals with a non-IRA retirement plan, so it’s possible this wouldn’t apply to IRA’s… but it’s extremely like it would. But what that case did was clearly establish the precedent that an entity can be deemed to be a “disqualified person” if you own far less than half of it. Recently, the California CEB (a legal education organization of UCLA – http://ceb.ucla.edu) asked me to teach the legal fundamentals of self-directed IRA’s and prohibited transactions to California lawyers. When I did so, I suggested that there’s a different standard to be considered when evaluating whether an entity is a “disqualified person”. I call that standard “Substantial Influence”. That’s because, as the Rollins case clearly indicates, it’s entirely possible to have far more control over an organization than is indicated by the amount of legal ownership you hold. Any one of these types of people may have zero ownership in a business, charity or association, but any one of those people may have actual influence over the entity so substantial as to be a de facto owner. In plain English, this says that if any substantive connection can be made between your IRA and any person (including entities) with whom your IRA transacts business, then your judgement as a fiduciary is affected and the transaction is prohibited. You would be very, very wise to consider any entities or organizations over which you have substantial influence to be a disqualified person for purposes of your IRA, even if you have no ownership whatsoever. What people or entities who are unrelated to you still have an interest in or some level of control or influence over your IRA? One obvious answer: Your self-directed IRA custodian or administrator. They clearly have an interest in or influence over your IRA. For that reason, they are a disqualified person. That’s one reason your self-directed IRA custodian will always carefully avoid giving you investment advice: If that advice leads to profit for them, they’ve just destroyed your IRA. Your SDIRA provider also qualifies as a disqualified person because they “provide services to the plan” (your IRA). Anyone who provides services to your IRA is a disqualified person. …So as always, the best idea is to consult with an expert SDIRA attorney before engaging in any transaction. So there you have it… disqualified persons are to your IRA as Kryptonite is to Superman… only worse, because once your IRA interacts with a disqualified person, the damage is done and can’t be fixed. What does it actually mean to commit a prohibited transaction in your self-directed IRA? …And you’ve learned about the people and entities that must not be allowed to benefit from, or interact with, your IRA or its assets. What actually happens when you commit a prohibited transaction in your IRA? In short: Financial pain… probably a whole lot of it. But as with most things connected with IRS rules, there’s not just one answer to the question. …But “prohibited transaction penalties” – which are, unfortunately, the most common result – can be a genuine cataclysm for your IRA. If your self-directed IRA is found to have purchased any prohibited assets – life insurance and collectibles, primarily – your IRA will be subjected to a mandatory partial distribution. “Distribution” is the term used for withdrawal of money or assets from your IRA. If you see the word “distribution” it means that the IRS is taking the position that some or all of the assets in your IRA have been paid to you. The “distribution amount” is the size of the transaction from the IRS’ point of view. The IRS will act as if you requested a distribution in the amount of money used to purchase the prohibited asset. Depending on your income tax bracket and the amount of time that’s elapsed since your IRA purchased the prohibited transaction, it’s entirely plausible that you’ll end up with a tax bill for 40-70% of the amount you spent on the prohibited asset. You must come up with the cash out of your pocket to pay those taxes, penalties and interest, because the “distribution” that the IRS is imputing to you was in the form of your prohibited asset, not cash. …When the IRS catches up to that, they’re going to tag you for, conservatively, half of that amount - $25,000 – in taxes, penalties and interest. Bottom line: The stakes are high when you buy a prohibited asset… so don’t do it. Ever. 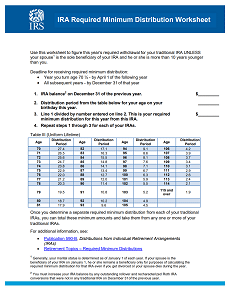 The Mandatory Full Distribution is a death warrant for your IRA. It doesn’t matter how big or small the size of the errant transaction… your entire IRA is distributed and ceases to be an IRA. That means that you could have an IRA worth $1,000,000 but if you commit a prohibited transaction with only $200, the entire account will be transformed into a normal non-IRA account. 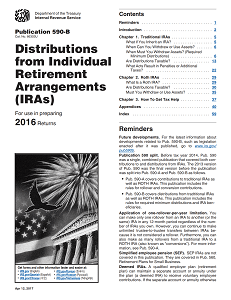 Your IRA has been wiped out entirely… and then some… because of a full distribution. Your IRA has ceased to be an IRA. …if a creditor can prove that you’ve committed a prohibited transaction in your IRA, then your IRA is wholly unprotected from them. It’s almost always completely irreparable. It’s a real financial apocalypse. …Your entire life’s savings could be lost in the blink of an eye. It’s actually possible for a prohibited transaction to be committed in your self-directed IRA without your knowledge or involvement. The financial advisor directs your self-directed IRA to purchase a piece of real estate at an excellent price from your parents. Clearly, this is a prohibited transaction, because your parents are a disqualified party for your IRA. But… the mistake wasn’t actually yours… it was the mistake of 3rd party fiduciary. It appears to me that any transaction that would be an account-destroying prohibited transaction if I committed the error is something far less severe if committed by a 3rd party. That is very interesting, and gives rise to a strategy we’ll revisit in the “Checkbook IRA” section of this guide, coming up shortly. But first, we have a big choice to make: What self-directed IRA company will you choose to hold your account? An IRA custodian is a company that holds title to assets for the benefit of your IRA. To be a custodian, the company must meet specific financial requirements laid out by federal and state law. It’s kind of like a bank, only you can deposit and withdraw assets other than cash. 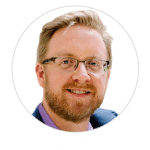 …But that decision is of absolutely central importance if you’re using a self-directed IRA, because the custodian is directly involved in so many more “moving pieces” of your investment strategy. It’s a big deal to choose the right self-directed IRA custodian. More importantly, it can be devastating to choose the wrong one. The competence of your custodian is a limiting factor for your self-directed IRA. Fortunately, there are a lot of good self-directed IRA custodians from which you can choose. In fact, I’ll give you a full list in just a moment. Things change. A good custodian today can be a bad one tomorrow. You must strive for custodial independence. It’s custodial independence that will allow you to move your assets easily and inexpensively from one custodian to the next in the event that your chosen IRA provider goes south on you. How do you achieve custodial independence? I’ll tell you more about that in a moment, but first there are some fundamentals we must cover. If you want to have a self-directed IRA, or an IRA of any type, you must have a “custodian”. When Congress created the IRA, they chose to make it be a special type of “trust”, and all trusts necessarily have a trustee. In the case of IRA’s, the trustee is called the “custodian”. What Is The Job of a Self-Directed IRA Custodian? From your vantage point as an IRA owner, the primary job of your self-directed IRA custodian is to administer transactions that directly affect the assets or obligations of your IRA. They have other responsibilities, too… but most of those involve reporting on the activity of your account to the government. As far as the benefit you receive from your custodian, they simply administer transactions that affect the assets or obligations of your IRA. It’s not their job to find deals for you. It’s not their job to vet deals for you. It’s not their job to give you legal opinions. It’s not their job to give you tax advice. For your purposes, the only thing they’re there to do is to administer transactions that affect the assets or obligations of your IRA. In other words – and I say this with respect to all of my friends and colleagues in the self-directed IRA custodial industry – they’re “paper pushers”. That’s ok. They’re necessary, and I’m grateful for the good ones. In this hypothetical, you’ve decided to purchase a piece of real estate in your IRA. You’ve picked out the property already, and you’ve got the money in your account. Is it time for your custodian to spring into action? Some of these things require your custodian. Some don’t… and you need to understand the difference. …so for each of those activities, let’s see if your custodian needs to be involved by asking ourselves: Does this involve the assets or obligations of my IRA? Contact the owner – Your IRA’s assets or obligations will not be affected by speaking to a property owner. Negotiate terms – Execution of the contract is subject to your IRA’s assets, but negotiation of terms does not affect the asset or obligations of your IRA. Sign the Contract – Signing the contract will create an obligation on behalf of your IRA, so this requires the involvement of your custodian. Sign Closing Documents – YES – Closing documents will require transfer of assets from your IRA and acceptance of other assets into your IRA, thus your custodian is required. …but where issues of legal title, conveyance of capital, and legal documents are concerned, that’s where your IRA provider must be involved. Bottom line: Your self directed I.R.A. provider will only be involved in administrative issues related to the accounts. It’s your job to direct the custodian appropriately. It’s their job to follow your directions. …my comprehensive list of self-directed IRA companies. 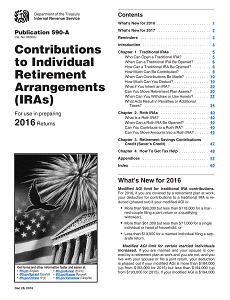 The Checkbook IRA is a self-directed IRA… but much more. And sometimes, “more” can kill you. Same thing with a checkbook IRA LLC and your IRA. It gives you literal checkbook control over your IRA funds. Want to invest your IRA funds? If you’re using a checkbook IRA LLC, it’s as simple as stroking a check from your IRA. It’s truly powerful, somewhat intoxicating, and without proper education, truly dangerous for your self-directed IRA. Using a checkbook IRA – also known as the IRA LLC or the checkbook IRA LLC – erects something like a Chinese wall between your custodian and your IRA’s assets. You do get the ability to absolutely control your IRA funds… but your activities are almost entirely hidden from, and not subject to the prior approval of, your self-directed IRA custodian. With a checkbook IRA, you’re 100% in the driver’s seat. …and since a checkbook IRA effectively eliminates your IRA custodian’s visibility into the activities of your IRA, it also largely eliminates your custodian’s ability to help you avoid prohibited transactions. Now, having read chapter 6 on self-directed IRA custodians, you know that it’s not the job or responsibility of your custodian to give you legal advice or to prevent prohibited transactions. Nevertheless, custodians are frequently able to gently nudge you in the right direction when they see you veering off course towards a prohibited transaction. When you use a checkbook I.R.A., you give up the benefit of having another well-informed set of “eyes” on your transactions. …It could even help to protect you from bad IRA custodians (more on that momentarily). A properly structured checkbook IRA can substantially reduce the negative effects of prohibited transactions in your self-directed IRA! All of that is the point of this chapter: To explain to you how Checkbook IRA’s work, and to give you the arguments for and against them so you can make an intelligent decision. The biggest, most immediate benefit of using a checkbook IRA is summed up in one word: INSTANT. ...and sometimes, instant access can make all the difference. …But when it does, you must be ready to pounce. Otherwise, that great deal will vanish. And every piece of involvement from your custodian costs you in one way you just can’t afford: time. It’s the custodian who must sign the purchase and sale agreement. It’s the custodian who must fund all of the expenses, like earnest money, inspections, appraisals, attorneys, etc. It’s the custodian who must sign all of the closing paperwork. With every point at which the transaction shifts away from your control back to the custodian, the amount of time required grows… and that can be fatal to your deal. Even the speediest of custodians – and there are some impressively fast ones – simply can’t consistently perform at the near-instant speed needed to respond to unplanned opportunities. And in real estate, missing any one deal could cost you a literal fortune. And that’s where the checkbook IRA can be so handy. By structuring your checkbook IRA LLC correctly, it's actually possible to relegate most prohibited transactions that could occur to the much less painful "penalty" level. I'll share more with you about this later in this chapter. Depending on the amount of activity and number of assets in your self-directed IRA, it's possible that using a self-directed IRA could save you a huge amount of fees. ...This guy pays an asset fee of $200 per year for each of those properties, totaling $40,000 per year to his self-directed IRA custodian! If he had those properties inside of a checkbook IRA LLC, he'd likely only pay $200 per year to the custodian, because he'd only owe an asset fee for the LLC itself, not for each of the assets within the checkbook I.R.A. That means he'd pay $200 per year to the custodian rather than $40,000! But when those things can be handled directly by your self-directed check book IRA LLC, most of that goes away entirely. Most self-directed IRA custodians and administrators do a great job, and will do a great job for years to come. That's a nice way of saying that you need to make sure it's easy for you to move from one self-directed IRA custodian to another if something goes wrong in the future. Remember this: When you do not use a checkbook IRA, then all of your IRA's assets are titled in the name of your custodian. Sure, they're all for the benefit of your IRA, but under the law, it's your custodian who owns those assets... not you, and not your IRA. So what happens if you decide you want to switch to a different IRA provider? The answer: For each asset in your account, legal paperwork will have to be executed which conveys title to those assets from your current custodian to the new custodian. If you have few assets, or if your assets are simple assets, that may not be a problem. But if you have many assets and/or you own complex assets requiring public notice or special legal expertise for conveyance (like real estate), you could face a huge expense just by transferring from one custodian to another. If he decided to change custodians, he'd be in for massive expense and a lot of time. For each property, he'd have to pay a lawyer to draft a deed conveying each property from the current custodian to the new custodian. He'd also have to pay recording/filing fees to the government, and he may even have to pay hefty transfer taxes, depending on the local laws. In that case, the IRA owner would certainly be looking at many tens of thousands of dollars just to change custodians. ...one asset - the LLC - would have to be transferred, not all 200 pieces of property separately. Sure, there'd be some legal fees... but probably a few hundred rather than tens of thousands of dollars. If the time comes that you need to make a change, you'll be thrilled you structured your IRA's holdings this way. So the basic notion here is this: There are some exceptionally great reasons to use a self-directed check book IRA L.L.C. Who Should Not Use a Checkbook IRA? The Checkbook IRA is not for everybody... far from it. In fact, unless one or more of the benefits above specifically address a need of yours, then you should not use a checkbook I.R.A. L.L.C. ...but usually, the risk is increased because the owner of a shiny new checkbook IRA will be too cavalier about the whole situation. All of these issues are, to some degree, inherent to the use of a self-directed IRA. But when you use a checkbook IRA, your compliance obligations increase exponentially... as does your risk of error. Before choosing to use a self-directed IRA, you should ask yourself this question: "Am I actually reliable enough to handle all of the obligations of owning a checkbook IRA LLC?" If the answer is anything other than a resounding yes... then don't do it. It's just not worth the risk. But if you are the right type of person - someone who is well organized, meticulous and careful - and if you have a particular specific purpose for using the Checkbook IRA LLC, then it can be an absolute godsend. Checkbook IRA’s are created by using the money in your self-directed IRA to purchase ownership of a single-member LLC. It's kind of like Your IRA LLC is your own personal investment fund, because that’s really what it is! Money comes out of your IRA… and ownership of the LLC passes into your IRA. But where does that money go when it leaves your IRA? It goes directly into the bank account of Your IRA LLC. And who owns, and therefore wholly controls, Your IRA LLC? Why, it’s your self-directed IRA, of course! The ability to decide who gets to be “in control” of Your IRA LLC on a day-to-day basis. This person, technically called the “Manager” of Your IRA LLC, wields practically absolute power over the assets of your self-directed IRA. Nothing that they do is inherently subject to immediate review by your self-directed I.R.A. custodian, by the IRS, or by anyone else. It is wholly up to the manager of Your IRA LLC to make sure that they follow the rules and don’t make any mistakes. For that reason, selection of the manager of Your IRA LLC is a critical decision. We’ll look at that question a bit more in just a moment when I tell you how I think checkbook IRA’s should be structured. In order to have a checkbook IRA, you must have an LLC owned by your self-directed IRA. All LLC’s are required to have a document called an “operating agreement”. It lays out the rules that govern how the LLC’s assets will be managed, and the manager of the LLC is subject to this agreement. There are some clauses that should, and some clauses that should not, be included in the operating agreement for your checkbook IRA LLC. Doing it any other way could cause you to create an LLC that’s prohibited from day 1. That would be an absolutely, total disaster. …And it can not be filed in such a way that you are the initial owner of the LLC. Doing so would require you to sell the LLC to your IRA, and that’s clearly prohibited. Hire an experienced attorney to do it. Setting up an LLC for use as a checkbook IRA is never a do-it-yourself operation. Please, I implore you: Don’t even think about using a LegalZoom or other boilerplate type of LLC. Those documents have clauses that are very bad for IRA’s, and do not have clauses that are necessary for IRA’s. Don’t use a boilerplate “checkbook IRA” LLC document, either. Those are becoming increasingly common, but should also be avoided. It’s likely that your checkbook IRA LLC will require language that is specific to you and your circumstances alone, and no boilerplate document can help with that. Don’t do that. Just don’t do it. This absolutely requires the involvement of an attorney who is extremely familiar with self-directed IRA law. Which Attorney Should You Hire To Form Your Checkbook IRA LLC? I highly recommend either Tim Berry or Shellie Hart, both of whom are extremely competent attorneys and capable of handling this type of project effectively. Make sure your attorney has personally drafted at least a dozen customized checkbook IRA LLC’s for their clients in the last 2-3 years. More is better. Ask your attorney to tell you about the last 3 times they had to customize a checkbook IRA LLC operating agreement, and to explain the reasons that justified those customizations. This helps to confirm that they don’t simply create boilerplate documents. Ask your attorney to tell you 3 specific issues that they’ve observed in case law or audits as being “problem areas” for the way checkbook IRA’s are used by others. If they can’t give you specific examples, they probably don’t have any experience beyond basic, surface-level knowledge. Finally, ask your attorney whether an alternative to the self-directed IRA - like the Solo 401(k) - may be better for you. Many times, the answer will be a resounding yes. I’m giving you these guidelines because, unfortunately, there are precious few attorneys who have even the slightest awareness of the rules surrounding IRA’s, and even fewer who are truly expert in the topic. But there are a lot of them who claim expertise simply by virtue of being an attorney, even though they have absolutely no, or extremely little, substantive experience. You need more than that for legal work that is literally foundational to your retirement savings strategy. You need somebody who really knows what they’re doing. What Terms Should Be Included In Your Checkbook IRA LLC? This is one of those places where I need to reiterate: I’m not a lawyer, and I’m not giving you legal advice. I mention that again here because I’m about to share with you some of the features you might suggest to your attorney for inclusion in your Checkbook IRA LLC. Many of these ideas will be very good for you. Some of them may not be fitting at all. Only your attorney who is familiar with your situation can say for sure. Like most business entities, it’s possible for one or many different people to own portions of the LLC. The LLC used in your Checkbook IRA LLC should have one and only one owner: Your IRA. This means that your LLC will be considered to be a “single-member” LLC, because the word “member” means “owner” in the context of LLC’s. Additionally, there are two different “management styles” for LLC’s. In one scenario, the LLC is managed (operated by or under the control of) by the owner (member) of the LLC. That is called a “member-managed” LLC. The other scenario involves management of the LLC by a third party, who is called a “manager”. In that case, the LLC is called a “manager-managed” LLC. For your checkbook IRA LLC, you should use the “manager-managed” style so that you can select a person who will have control over your LLC, and thus over your IRA assets. If you choose “member-managed” for your checkbook IRA LLC, your IRA custodian will be in control of your IRA LLC. Clearly that’s not what you want! Who Should Be The Manager of Your Checkbook IRA LLC? One of the most important decisions you’ll make with your checkbook IRA LLC is the selection of the “manager” of your LLC. The Manager of your LLC is effectively the “CEO” of your self-directed IRA. It is the manager who has the authority to invest the capital in your LLC, which are your retirement funds. Many, many self-directed IRA owners choose to make themselves the manager of their checkbook IRA. That’s a reasonable choice, and certainly gives you the most control over your self-directed IRA. But a much better choice is to select someone with whom you have an excellent relationship, but who is a non-disqualified person. Why? It all comes down to one issue: Prohibited Transactions. You’ll recall from our look at prohibited transactions that there are 3 different types of PT’s that can happen in your IRA’s, with 3 different degrees of severity ranging from a relatively minor penalty all the way to complete annihilation of the entire account. Far and away, the least severe happens when a fiduciary rather than the account owner, commits a prohibited transaction. When a fiduciary – such as an unrelated person serving as manager of your checkbook IRA LLC – commits a prohibited transaction, the IRS will usually hit your IRA with a 15% penalty, and will require the transaction to be unwound. …in other words, the annihilation of your account. The only difference is who controlled the capital in that case. For that reason, if you choose to use a third-party manager for your checkbook IRA LLC, you’ll want to include some verbiage in the operating agreement that gives the manager sole authority to make investment decisions. Your goal here is to make it very, very clear to the IRS that your LLC manager has independent decision making authority... and for that to legitimately be the case. ...But what is accomplished is establishment of legitimate independence, which is a legally necessary component to be able to argue that any prohibited transactions committed by your manager should be merely penalized rather than resulting in a partial or full distribution. ...But as always, confirm with your own attorney, because I am not an attorney. Whether or not you use a 3rd party manager for your checkbook IRA LLC, one other position you should seriously consider including is a legal advisor. An excellent strategy is to require the manager of the LLC - whether you or anyone else - to seek legal advice concerning any and all transactions before execution. Compliance with tax laws in an IRA is complicated, ever-changing and very poorly understood. ...and for that reason, I recommend that you specify a legal advisor who must be consulted and sign off on any transactions before execution by your checkbook IRA LLC's manager. Your IRA LLC operating agreement should stipulate that bankruptcy of any member doesn't cause automatic dissolution of the LLC. You should also stipulate within the LLC that any transactions executed by the LLC that are prohibited transactions are automatically null and void. ...maybe even making it into a book of its own. 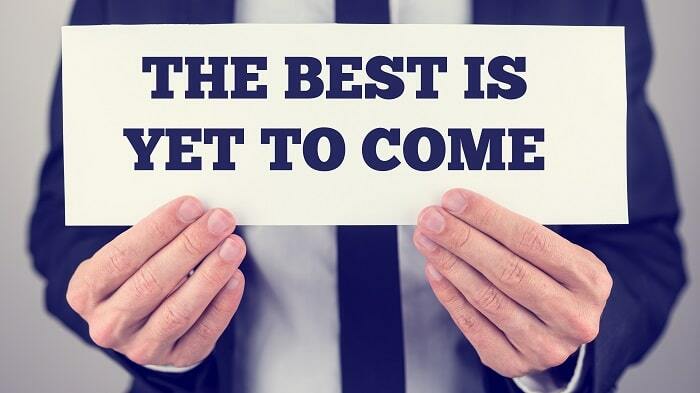 In the mean time, take this advice to heart: The self-directed checkbook IRA LLC takes a thing that is already extraordinarily powerful and very risky - the self-directed IRA - and dramatically increases both the power and the risk. This is a professional-level tool. You must have good legal counsel at the beginning and every step of the way through if you plan to use this type of tool successfully. The Self-Directed IRA Masterclass Is A Work In Progress. Check Back For More... We've Not Even Scratched The Surface Yet! What are your questions about Self-Directed IRA's? Thank you for your question. We'll review it and provide feedback to you as soon as possible.